The Bradley Smoker 781 sq.-inch 6-Rack Digital Smoker allows for completely controllable temperature, time and smoke settings for ease of use. This smoker makes it easy to roast, smoke and barbecue your favorite foods outdoors. 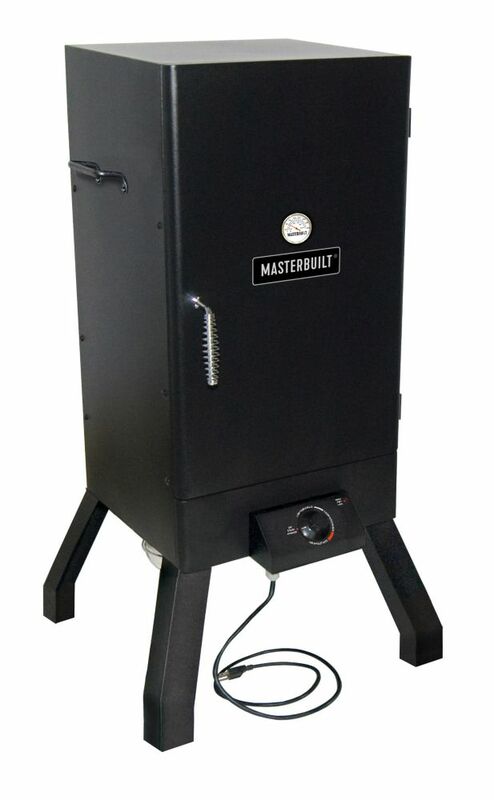 An automatic wood feed system keeps the smoker running with or without your assistance for low-maintenance operation. The Dyna-Glo DGU732BDE-D 30" Digital Electric Smoker offers a convenient smoking experience with multiple features that simplify the cooking process. Digital push-button controls make setting and monitoring desired cooking time and temperatures quick and easy. The integrated meat thermometer is digitally controlled and conveniently provides meat temperatures at the push of a button. This digital electric smoker is equipped with a side access wood chip loader to facilitate the process of adding wood chips while minimizing smoke and heat loss. The Dyna-Glo DGU732BDE-D 30" Digital Electric Smoker will give you a dynamic outdoor cooking experience.